Seattle wedding venues embrace the spirit of the Pacific Northwest with waterfront venues overlooking Puget Sound and rustic barns in the city’s nearby forests and parks. 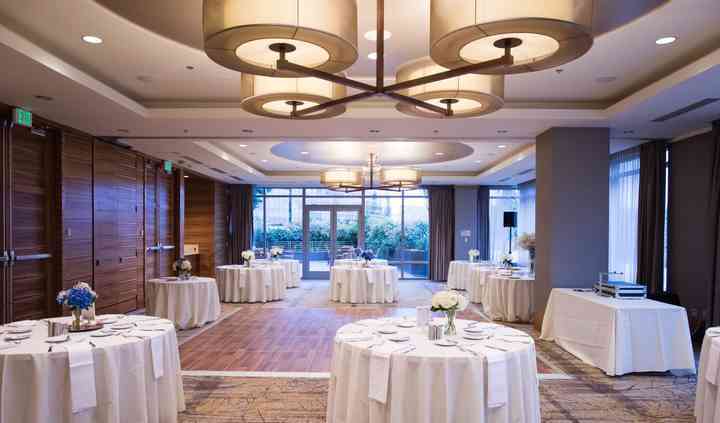 Washington couples with all manner of wedding...Read more styles will easily find the Seattle wedding venues of their dreams, whether they be chic hotels, elegant resorts, or outdoor manors. Quaint coffee shops, gray skies and scenic waterfront views are just a few of the reasons why Seattle, Washington, is for lovers. 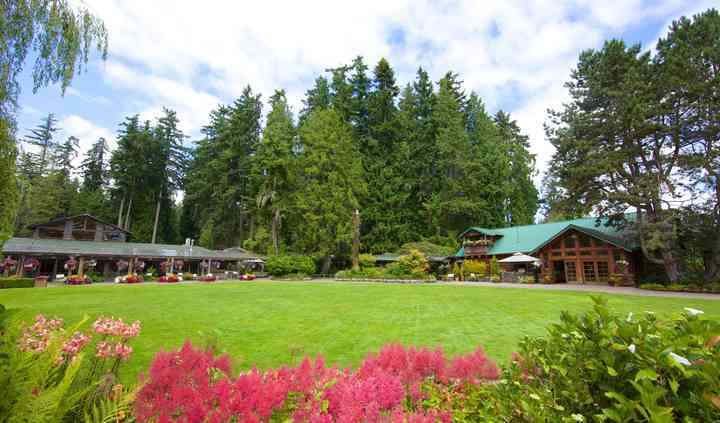 This gem of the Pacific Northwest will provide a stunning backdrop for your special day, and you'll find a Seattle wedding venue to match you and your fiancé(e)'s style. When looking for wedding venues in Seattle, it helps to know just how many options are available to you. There are numerous gardens and wineries around town, many of which offer indoor areas to avoid Seattle's seemingly ever-present rain. You'll also find a myriad of hotels and estates that can be booked for your wedding day. You can even reserve space inside some of the city's most well known landmarks, like Union Station or at the Seattle Art Museum's Olympic Sculpture Park. Take your time when it comes to booking the wedding venue of your dreams. 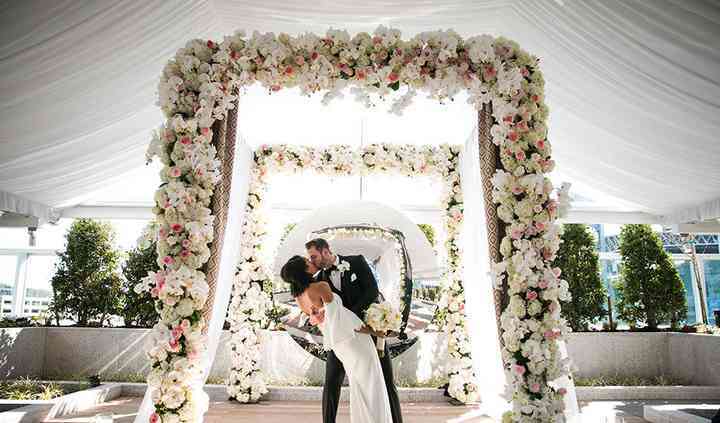 You'll want to find a space that embodies romance, you and your partner's style and also fits within your wedding budget. Many Seattle wedding venues cost an average of $4,000 or more, so you want to be confident that you can execute your wedding vision within the space and budget you and your partner have set. The Seattle Tacoma International Airport is 14 miles south of downtown Seattle and is a quick trip to most accommodations. The city offers everything from intimate boutique hotels to large resorts. Think ahead by reserving a hotel block for your guests, but plan on allocating an average of $150 to $200 a night on your Seattle accommodation. For those who don't want to stay in downtown Seattle, or are craving an excellent day trip, direct your guests to either Bellevue or Redmond, Washington. Seattle and its surrounding cities are renowned for their lush greenery and an abundance of hiking, biking and kayaking opportunities. Research the best outdoor activities in the area and give your guests an informative guide filled with fun things to do in the Seattle area upon arrival. It's true what they say about Seattle: it's rainy most of the year. However, that doesn't mean that you can't enjoy the city during each and every season. There are roughly 95 days with measurable rainfall in the city, but don't think that Seattle is all gloom and doom. Your wedding could be sunny, as the city is known for receiving roughly 150 sunny days per year. No matter what time of year you tie the knot in the Queen City, make sure you have an indoor area of your venue available and have spare umbrellas around for your guests on hand, just in case. Celebrate your love in the Pacific Northwest by getting married in Seattle. The seaport city is not only visually stunning, but its cozy shops and friendly residents will have you feeling right at home as you embark on your happily ever after. Begin the journey down the aisle today by using our planning tools to organize your Big Day.